All the best you May Day revellers... or like me dreaming of revelling on a stressful day at work. On Monday night, I gave a talk on the history of May Day in South London at a Haunt London event at the Miller pub by Guys Hospital SE1. Sarah Crofts also spoke on the 30th anniversary of the Deptford Jack in the Green, while David Aylward introduced a film of the Jack's 2006 procession through Deptford. 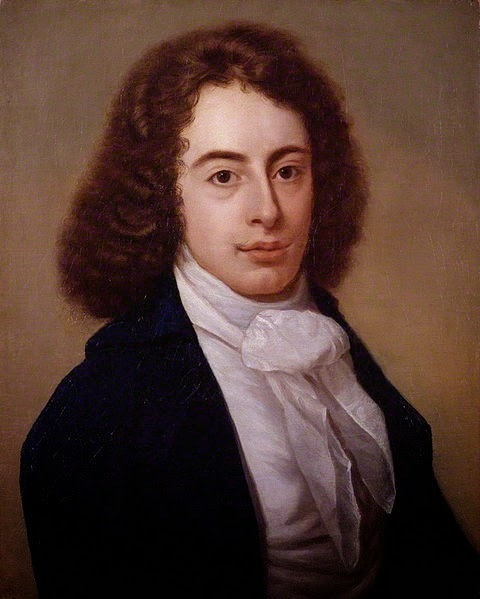 The romantic poet Robert Southey (1774-1843) wrote his dramatic poem 'Wat Tyler' in 1794, at the height of his youthful radicalism and support for the French Revolution. Later he became Poet Laureate and a staunch defender of the status quo, and he was embarrassed when his paean the 1381 peasants revolt was reprinted in 1817. Sweeps along the cowslip'd dale. Smiles to welcome in the May'. 'who should pay for The luxuries and riots of the court? Did not the state compel me? 'Did we not dance it well to-day, my father? Is it not simple?—you are sad, my father! Still Tyler is no mood for merriment - he's got a major insurrection to launch! I think in this extract we have most of the elements of the London May Day story: the songs and dances of Merry May, the May Queen, the maypole and the Morris Dance, the nostalgia for the good old days, the radical politics, and a South London location too. Southey sets Tyler's blacksmith workshop in Deptford - this leader of the Kent rebels in 1381 has been variously attribute to here and to Dartford and Maidstone, Southey has presumably been influenced by Thomas Paine's The Rights of Man (1791) which states that 'Wat Tyler, whose proper name was Walter, and a tiler by trade, lived at Deptford'. Incidentally, Southey himself lived in 1797,at Prospect House in Newington Butts, by what is now the Elephant and Castle. I enjoyed your talk last Monday. Did I imagine this, but I thought that Robert Southey also lived at New Cross at some point? Not as far as I know. You might be thinking of Robert Browning who lived on the site of what is now Haberdashers' Aske's school in New Cross. Yes of course. I got my Roberts mixed up. But Robert Southey did write that curious book, Letters from England, under the guise of a Spanish visitor in which he described a Jack in the Green.